Music shouldn’t stop with the school year! 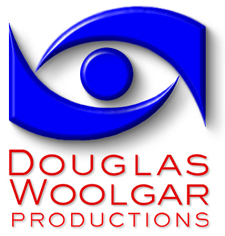 Looking back, I spent a number of summers of my youth doing something musical. 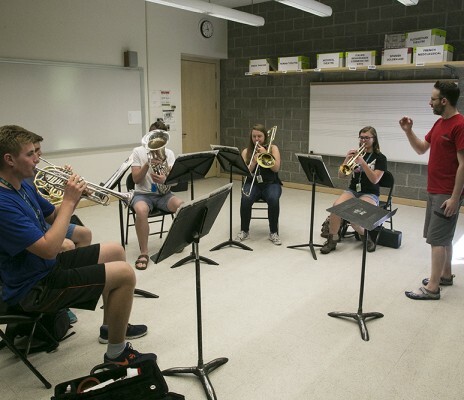 I have great memories of going to Pine Lake for music camps put on by the Salvation Army; waking up to fanfares, getting lessons with great players, performing with other young musicians from across the province, and just being immersed in music during a time of the year when I wouldn’t be otherwise. As I got older, I remember less music in the summer, and I didn’t really re-engage on the idea of a specific summer music activity until I reached university. Gigs, summer groups in town, small things here and there, but nothing that was all encompassing like what I could participate in during the school year. 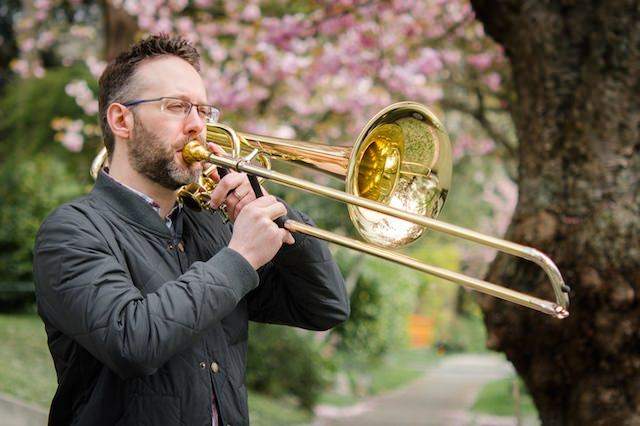 It was in Victoria, after having finished my first degree, when it really stuck with me that there was far more out there in the summer months for musicians of ANY age and ability to participate in, to keep music as an active activity in their lives. 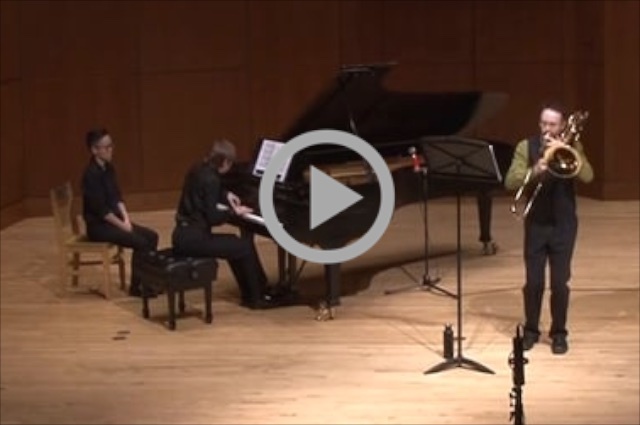 It was during this time at UVIC that I had the opportunity to audition and was accepted to attend the Aspen Music Festival and School. 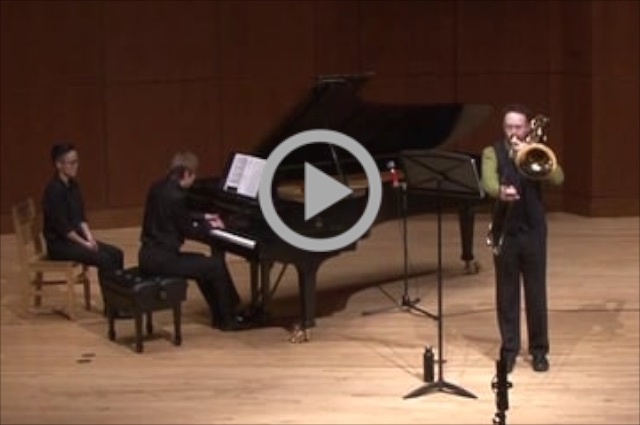 9 weeks of summer performing in one (or more!) of the 5 (!!!) orchestras, attending multiple performances each day, getting lessons with an amazing array of faculty, and being mixed in with some of the best young musicians from across North America and the world! When it was all said and done, I found it difficult to put into words what that experience had done for me as a musician and a person. How do you describe the different elements, the learning, the performances, how it all changed your approach to and perspective on music? As amazing of an experience that the festival was, it was something that one of my professors said to me that summed up what my time at the AMFS was really like. That phrase clicked for me. Each person travels a varied path of development over a year of study, performance and practice mixed with classes on many different topics, work outside of school, homework, papers, and study in your free time. 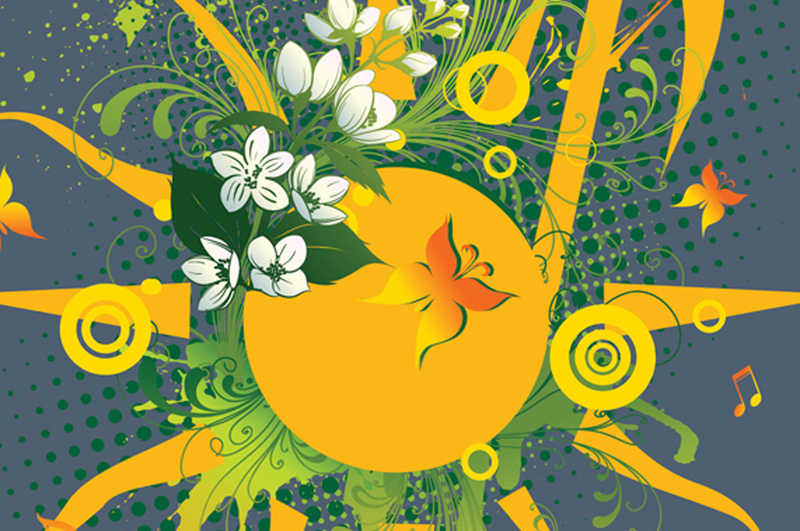 The intensity of a full summer compresses that path, immersing you in music 24/7. 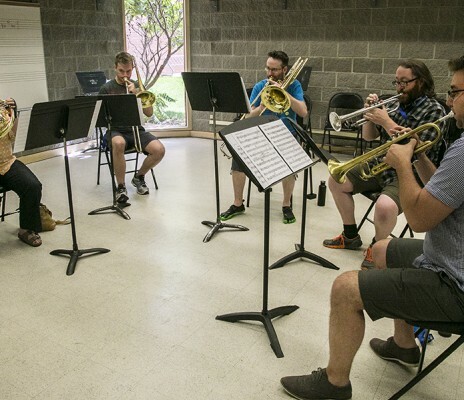 That immersion changed the way I approached the instrument, and ever since I’ve been very particular in my musical pursuits of the summer months, encouraging my students to audition and participate in some program as well. 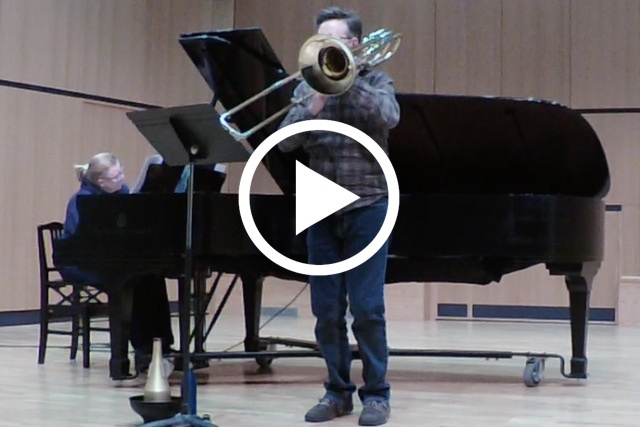 The past 2 years I’ve had the opportunity to teach and perform as a faculty member at MusiCamp Alberta. Now in it’s 58th year, this camp offers a unique experience for its participants, something that you cannot find elsewhere in Alberta. A number of friends and colleagues have been a part of this camp in the past, so it was always something of which I was aware. However, I really had no idea how special this program was until I was able to be a part of it. The atmosphere is immediately apparent: musical, inclusive, energetic, caring, quirky, dedicated. The Supervisors (Supes) actively engage and immerse the students immediately upon their arrival at camp, firing up their energy with great activities that bond the group before they’ve even realized it. Throughout the two weeks, the Supes constantly devise games, pranks, inside jokes, skits, and more to continually tap into this bonding. Friendships are formed fast, and are quickly picked up upon returning to camp. 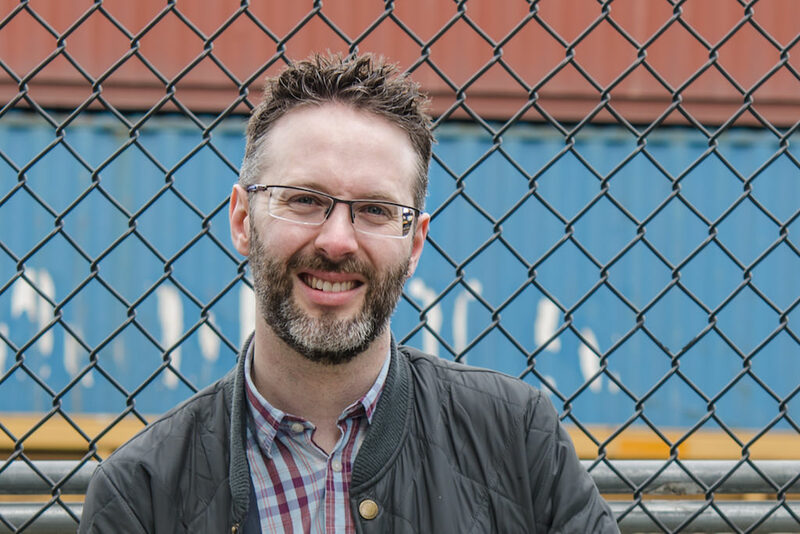 The main body of MusiCamp Alberta are the large performing ensembles, and the students are supremely fortunate to be lead by two extremely talented directors. 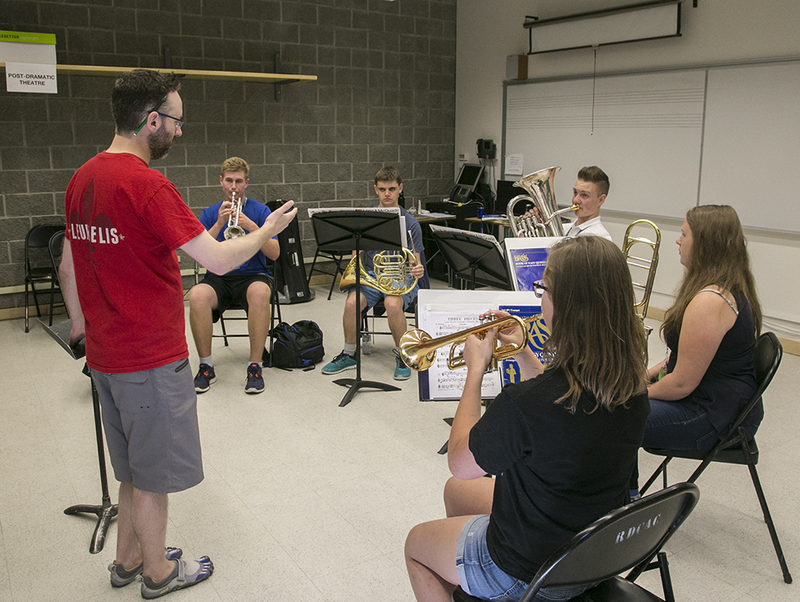 Conductors Dr. Milt Allen and Gareth Jones draw upon a wealth of experience to push the students and ensembles to levels of performance seemingly impossible due to the short and intense time span. 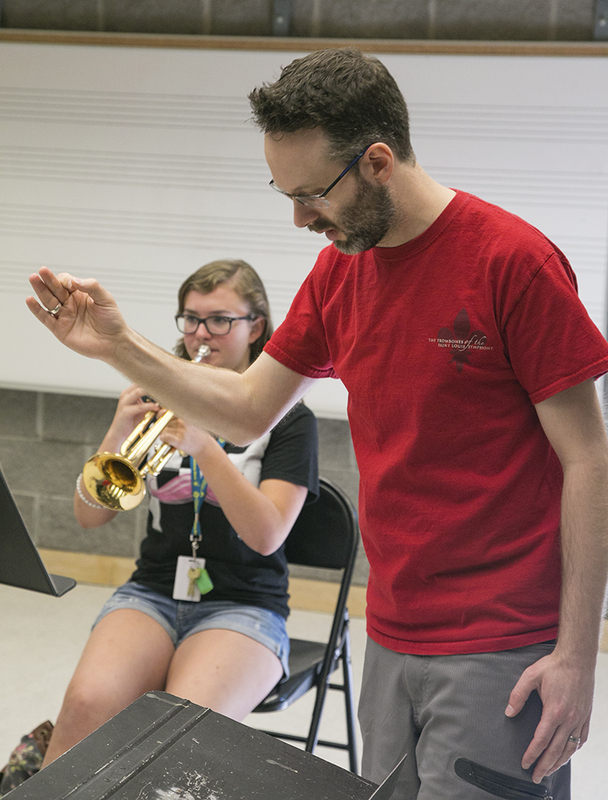 Repertoire is not sacrificed in the interest of time, and rehearsals explore a number of different techniques and concepts that students will continue to apply throughout their musical lives. 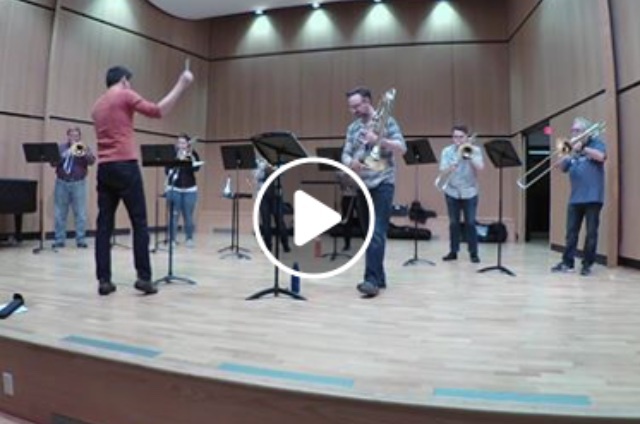 These conductors, for both the younger Intermediate ensemble and the older Peterkin ensemble, challenge the students to perform musically and as an ensemble immediately. Rehearsing several hours each day, the students quickly rise to the demands of the music. 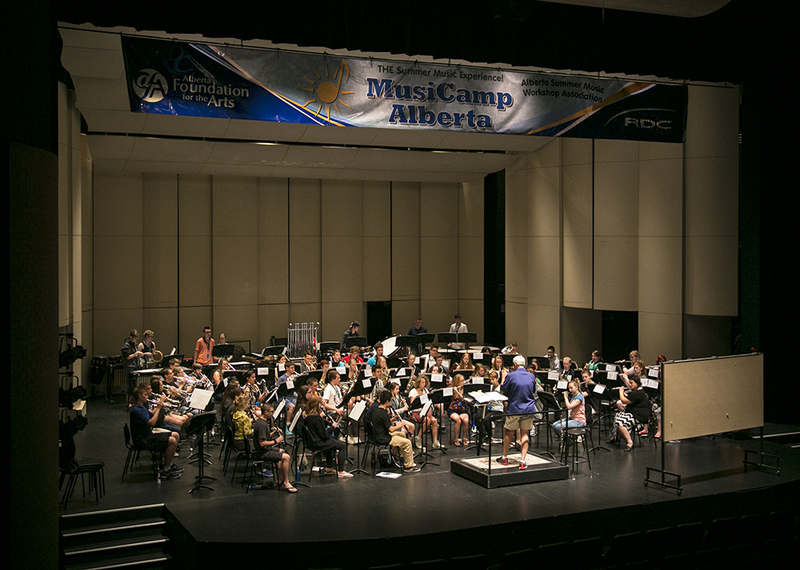 The faculty at MusiCamp Alberta are brilliant! 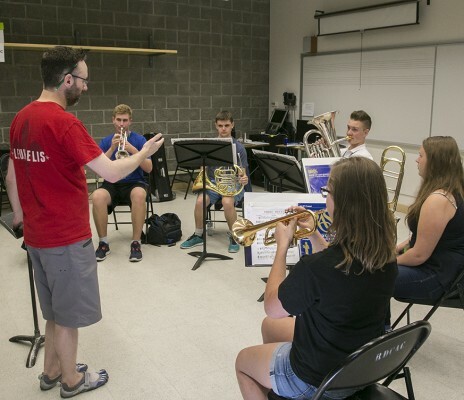 Students receive several private lessons over the course of their time at camp, focused on specific instrument issues, general performance concepts, repertoire a student may already be working on, as well as problematic music being performed at camp. 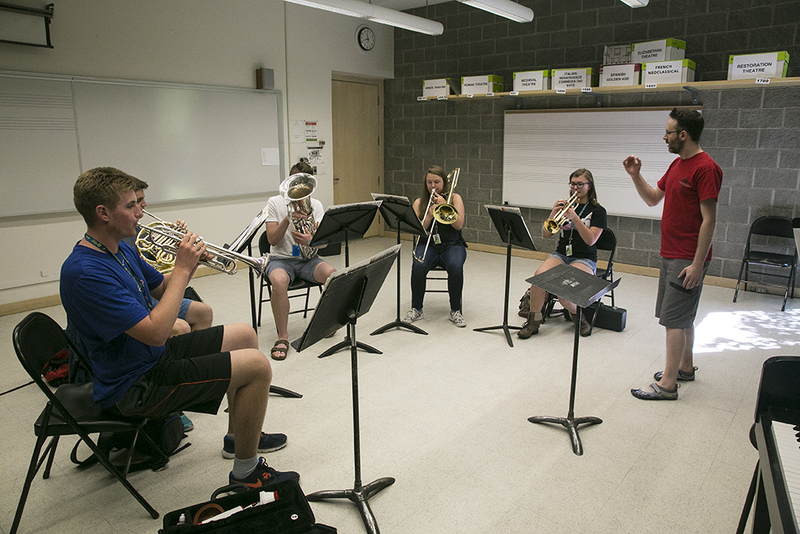 Faculty also engage the students in daily warm up sessions, section rehearsals, and chamber music rehearsals. 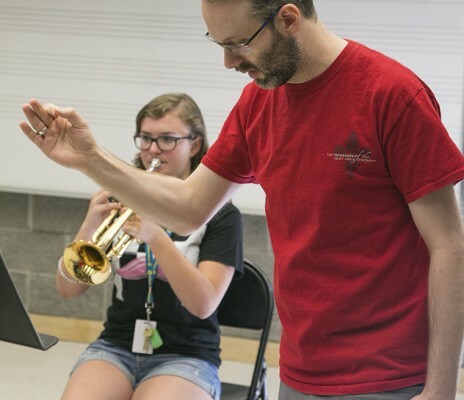 Throughout all of these activities, the faculty challenge the students to continually improve, and to apply concepts to all their performance at camp. 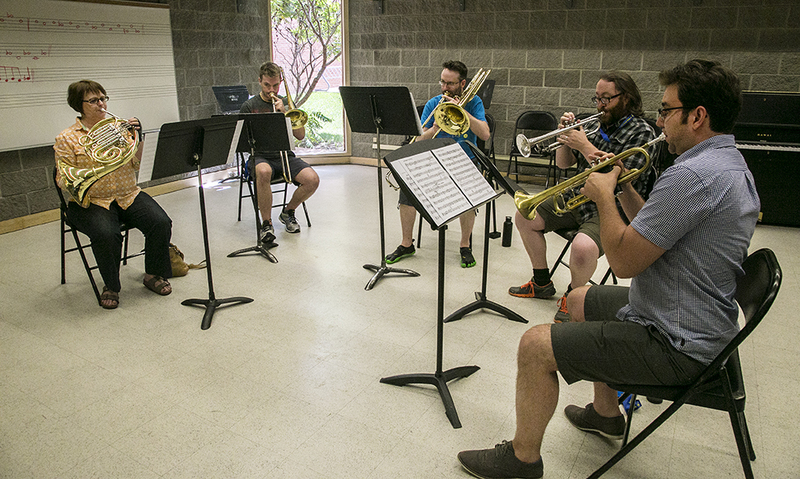 Between all of this instruction, faculty work to prepare music of their own, performing for the students in nightly recitals. 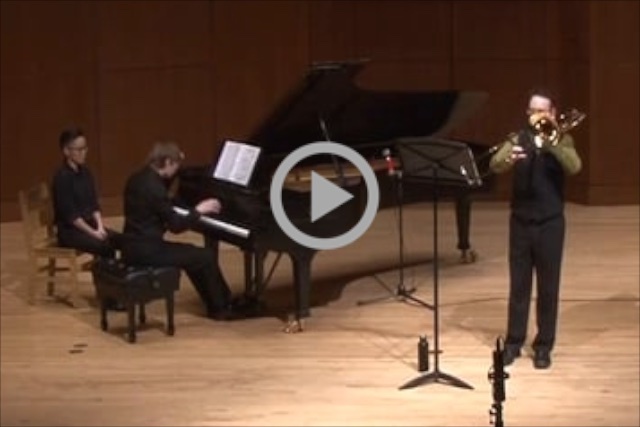 Repertoire is varied, with virtuosic solo and chamber performances each evening. 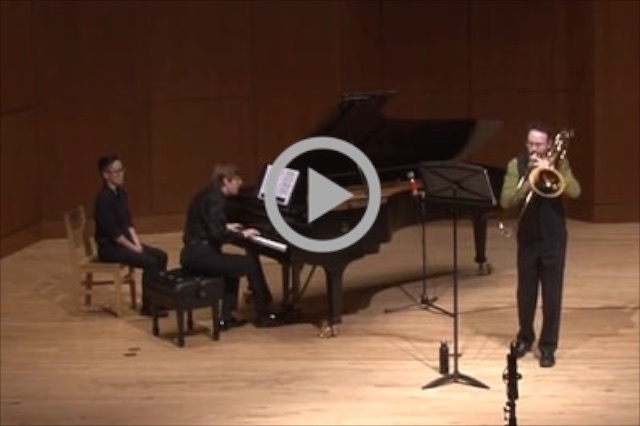 The calibre of performance seemingly increases each night, and serves as an inspiration to students and faculty alike. Even with this small sketch, what happens in 2 weeks at MusiCamp Alberta is so much more difficult to describe. Much like my experience at Aspen, it is not easy to put your finger on all the facets of musical and personal experiences of which you are a part. 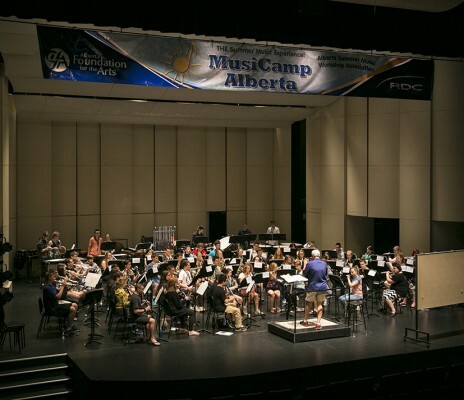 Certainly the musical development is apparent, but the personal connections, immersion into a group of like-minded young musicians, and exposure to a larger musical world are all part of what makes MusiCamp Alberta a special opportunity. I wish I had taken advantage of this opportunity when I was younger student, and I am looking forward to seeing more and more students enjoying such a unique program.